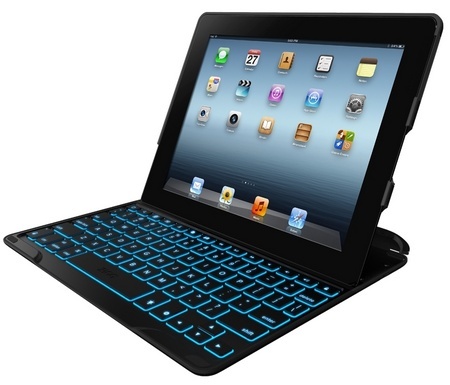 ZAGG introduces the new ZAGGkeys PROfolio+ lightweight, slim keyboard case designed to “offer a complete mobile experience” for Apple’s iPad 2 and 3 and thelatest 4th generation iPad with Retina Display. The durable case has a stylish leather texture exterior and protects the iPad and the keyboard from dings and scratches. A magnetic closure secures the iPad to the ZAGGkeys PROfolio+. 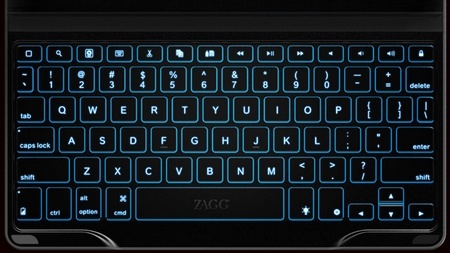 The ZAGGkeys PROfolio+ includes a Bluetooth 3.0 keyboard featuring island style keys with maximum finger space for fast and accurate typing, and keyboard backlit with seven interchangeable color options (blue, dark blue, green, purple, red, yellow and white) and adjustable brightness. 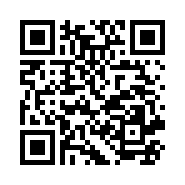 It also has specific shortcut keys, including volume control, play, pause, screen lock, home, search, slideshow, copy, paste and more. The built-in stand holds iPad at an ideal viewing angle for typing and watching. The ZAGGkeys PROfolio+ is available for $129.99. 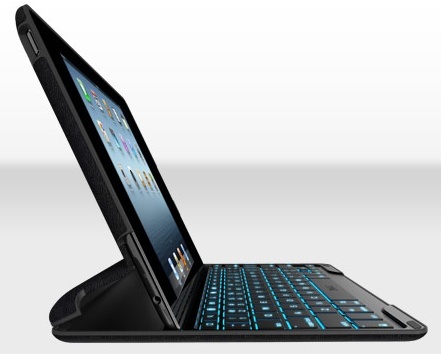 Also released are ZAGGkeys PRO and PROplus with aluminum construction that matches the look and feel of the iPad.